Posted on December 19, 2017 by admin wrote in Employement, Job. Even for people who have been in the job market for some time, it can sometimes be hard to gauge how well an interview has gone. That is why sometimes a person can get the feeling that an interview has gone quite well when in fact it did not. As one of the staffing agencies in New York we would like to give you some indicators that you have won over your interviewer. Your interview ran long: Hiring professionals do not like to waste their time as they often have many candidates to interview. Thus, an interviewer will often cut the interview short if they feel that you are not the right candidate. 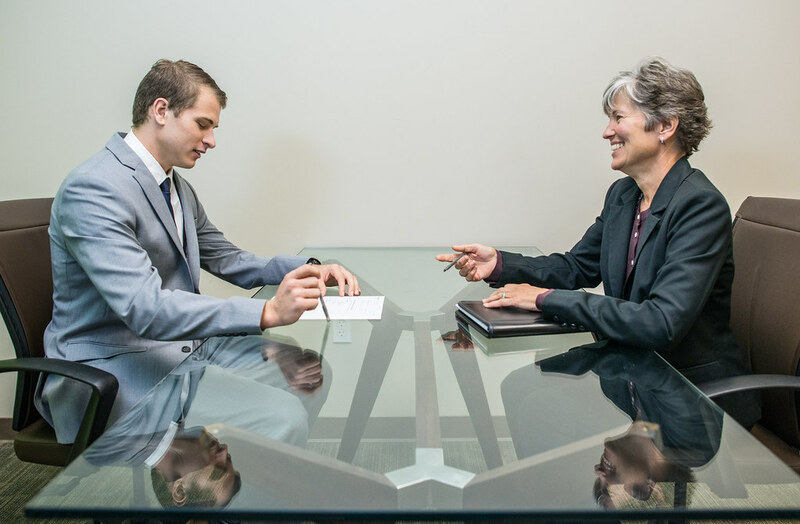 You are invited to a second interview: When a company invites you back for a second interview it is a sure-fire indicator that you are seriously being considered for the position. Managers who are unsure about a candidate will be evasive about when that candidate will be contacted. The specifics of leaving your current job is discussed: When interviewers ask about if and when you will be able to separate from your current job it may indicate that an offer is pending. The interviewer seemed engaged: The ability to read body language is the key here. Signs that an interviewer is engaged by what you are saying include nodding, smiling and agreeing as you speak. You get the office tour, or meet other professionals who work there: Being introduced to the various people you will be working for if hired is a very good sign. Take this opportunity to make a good impression with everyone you encounter. You are asked for references: Bad hires cost employers money. When hiring managers ask you for references during your interview it means that they may be serious about expending this money to check you out. Salary was discussed: This is often only done in the later stages of an interview or immediately prior to receiving an offer. Keep in mind that these indicators do not guarantee one hundred per cent that you will receive a job offer but they do indicate that you are seriously being considered for the position. As one of the leading staffing firms in NYC, we wish to ensure your success in the job market. Using these indicators can help you improve your interview skills.